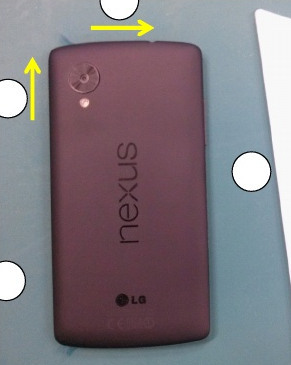 We have been hearing much about the Nexus 5 for the last few months. Google also should signs of releasing a new Nexus after it discounted and later discontinued the LG Nexus 4. While many rumors have surfaced, a most authentic document, service manual, has now leaked confirming most of the rumored specs. 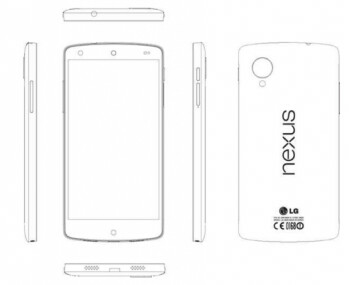 The Google Nexus 5 which has been made by LG is set to come in the upcoming months. The specs in the service manual confirm most of rumors including the 2.3GHz Qualcomm Snapdragon 800 processor (MSM8947) and 2GB of RAM .Coming in with a 4.95”, 1080p IPS display, the smartphone has a lot of similarity of LG Optimus G2. Buyers will have 16 and 32GB of built-in storage and a 2300mAh cell with wireless Charging. A powerful 8 MP shooter with OIS will be supported by a 1.3 MP front facing shooter for video calling. The LG Nexus 5 will come with NFC enabled. And yes, this time around there will be LTE connectivity.